Dallas, March 20, 2019 – Leading game manufacturer LAI Games has some great things in store for Amusement Expo next week. The company will be promoting their brand new Online Parts Store, which allows operators to easily find and order the parts they need for both current and legacy games. As a special bonus, those who stop by LAI Games Booth 436 will also get a promotional code they can use for a discount on their next parts order! LAI Games will also have a collection of its most popular titles on display, including AMOA Innovator Award winners HYPERshoot, Let’s Bounce and Virtual Rabbids: The Big Ride, which the company says operators are reporting as the top earning game in venues worldwide. Stop by Booth 436 at the show to get your discount code for the online parts store and try their hit games for yourself! 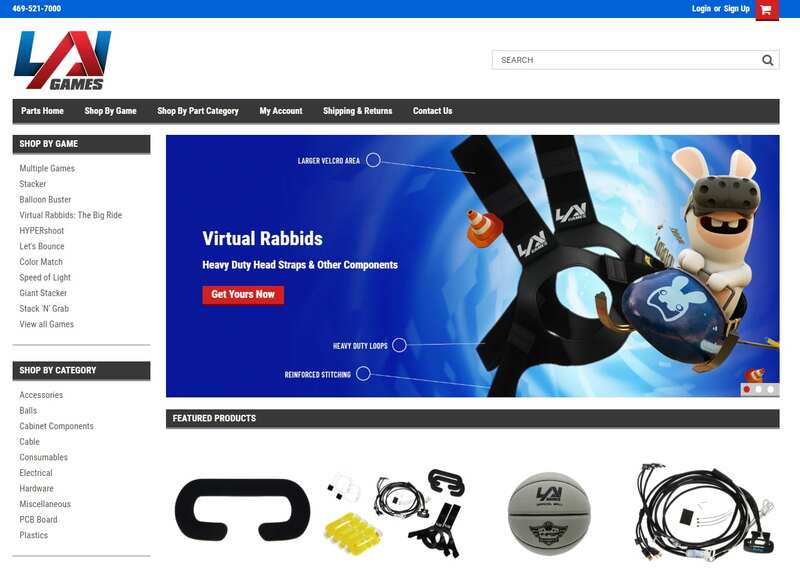 Visit the LAI Games Parts Store at parts.laigames.com. LAI Games, a subsidiary of Helix Leisure, has been a leader in the interactive entertainment and game industry for over 60 years. The company develops, manufactures, and sells coin and card operated virtual reality, prize merchandising, video and ticket redemption games, photo booths and novelties. LAI Games is dedicated to bringing innovative and high incoming-producing games to the global market. For more information, please visit www.LAIGames.com.